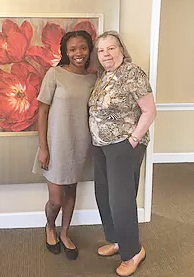 Students from Towson University's Family Studies program have been spending time at The Maples to learn more about supportive senior living. 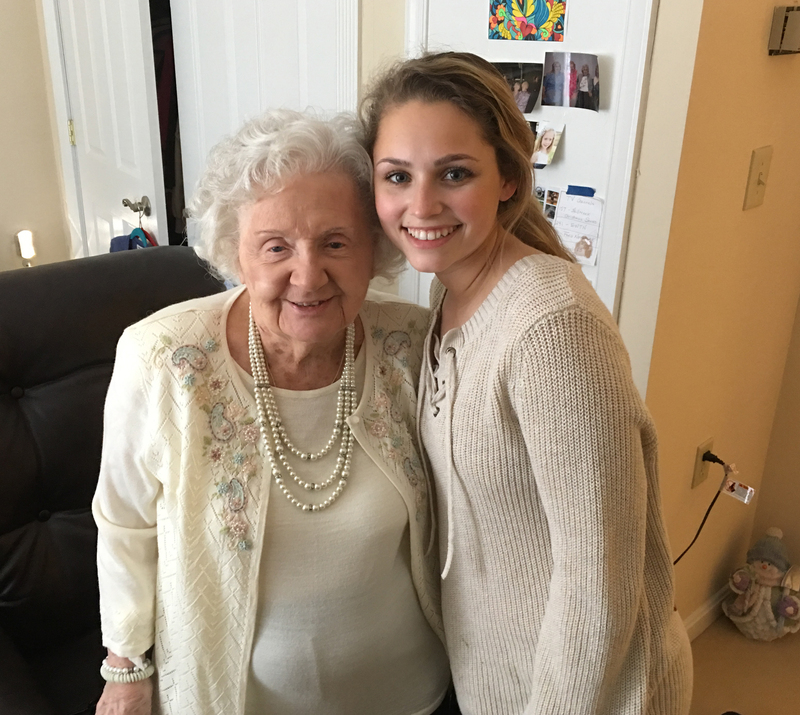 "I have learned a lot and gained a new perspective by working with the residents at the Maples," said Towson Senior Daniella. Since March, residents have been hosting Julia, Kierra, Amber, and Daniella at The Maples. 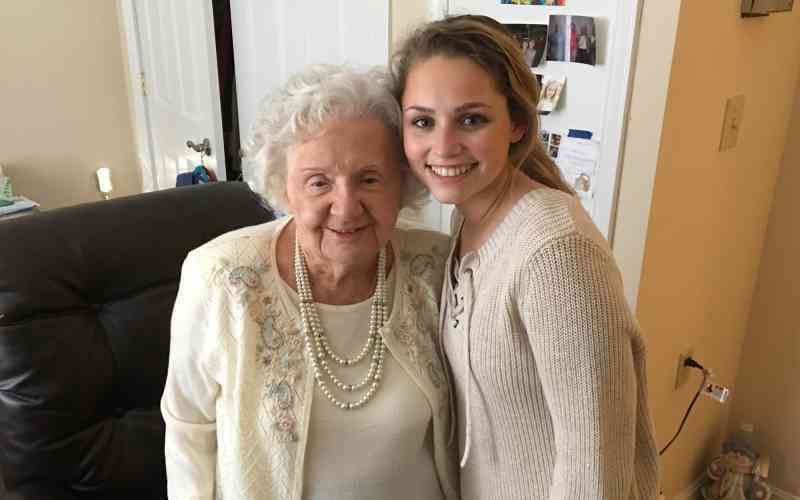 Each student spent one-on-one time with different residents to gain insight into the benefits of community living. One of The Maples’ fun Easter traditions is building “Peep Shows,” dioramas made out of marshmallow Peeps to display during brunch. Participants each teamed up with a Towson student to create their entries. 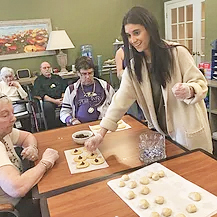 The project concluded with the students leading a "Hershey Kiss Cookies" baking event. They came prepared with a presentation about Milton Hershey and the Hershey Chocolate Company. “Everyone enjoyed our presentation," said Kierra, "But they really loved eating fresh baked cookies." The program was a positive experience for everyone. “The students have been a joy to host,” said Maples’ Life Enrichment Director Lory Neal, “They’re so bright and have such positive energy. 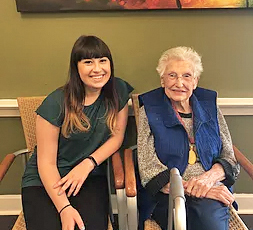 They jumped right into the swing of things here.” And the students were equally enthusiastic, "I have absolutely loved getting to know Mildred and spending time with her," Julia said. "The Maples is welcoming and homey and everyone made my time there meaningful."